Hehe - too fun! And the only pets in our house who like baths are the fish ;). 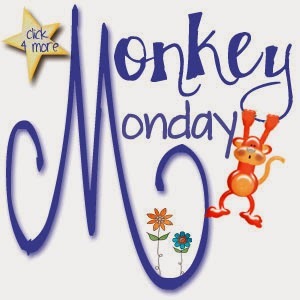 YAAAAAYY for Monkey Monday!! We co-habitate with Shih Tzu's and, occasionally, a flea or two may hitch a ride in their fur. Their unconditional affection and gratitude for a home more than make up for the maintenance and required watchful eye over indoor pets. Do they "enjoy" their baths? Not really. They tolerate them and only because the sink is too deep for them to escape :) I always love having Toby visit on fb and your blog. They make me smile.